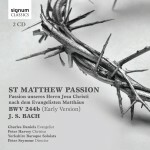 Yorkshire Baroque Soloists’ recording of Bach St Matthew Passion (early version) was released by Signum in February. 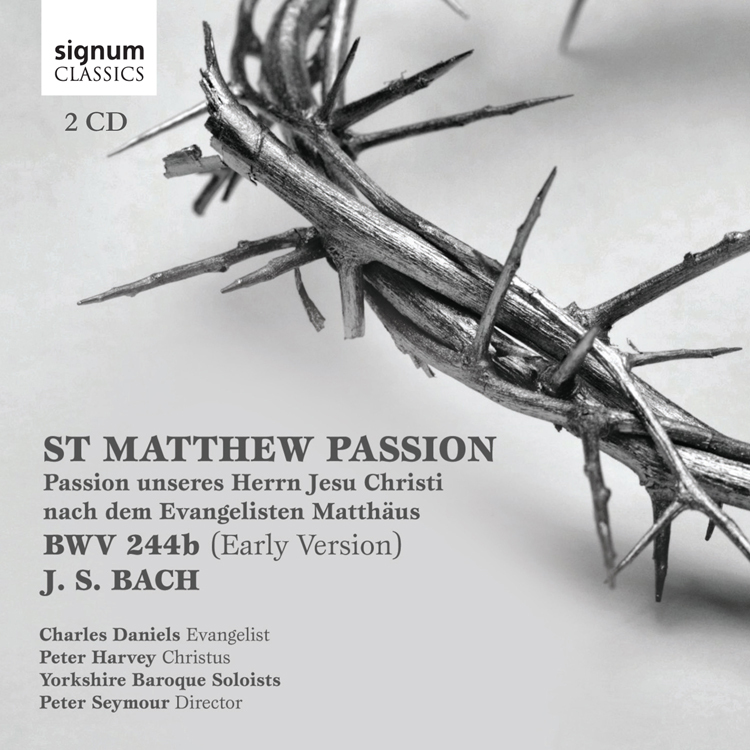 Peter Seymour and the Yorkshire Baroque Soloists present a new edition of Bach’s first version of Matthäus-Passion, probably first performed on Good Friday 1727 and one of the greatest works of J.S. 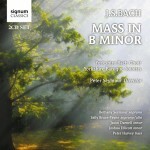 Bach’s prodigious output. Recorded at the National Centre for Early Music in York, this is the first commercial recording of this version here in Peter Seymour’s new edition. Soloists include Charles Daniels (Evangelist) and Peter Harvey (Christus). The other soloists who, with Peter Harvey, also form the two choirs, are Bethany Seymour, Helen Neeves, Sally Bruce-Payne, Nancy Cole, Joseph Cornwell, Julian Podger, Matthew Brook and Johnny Herford (Pilate). The orchestra is led by Lucy Russell. The recording was made at the National Centre for Early Music, York.